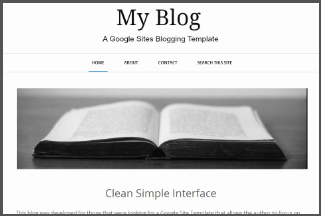 By now most of you are aware that I am a big fan of Google Sites. I love how Google Sites integrates flawlessly with all things Google. I can easily embed forms, docs, sheets, maps, video, and folders that are linked to my Google account. Editing a page involves a single click and there is no messy back end or plugins involved. The wiki like editing feature allows me to post to the blog on the fly. Google Sites is fast, can be viewed on mobile devices, rarely goes down, costs absolutely nothing, can be shared with multiple editors, and allows for custom domain mapping. Don't get me wrong, Sites is still far from perfect. I would love to see some basic features added such as tagging, more options for editing tables, and public commenting. On the bright side Google is constantly updating their products so maybe these wishes will one day come to fruition. Below is a site I created that houses many of the Google Sites I have created over the past year. A large majority have been shared as templates. This means that you can download and edit the site to fit your needs or the needs of your students. Just click on the button below in order to view the gallery.